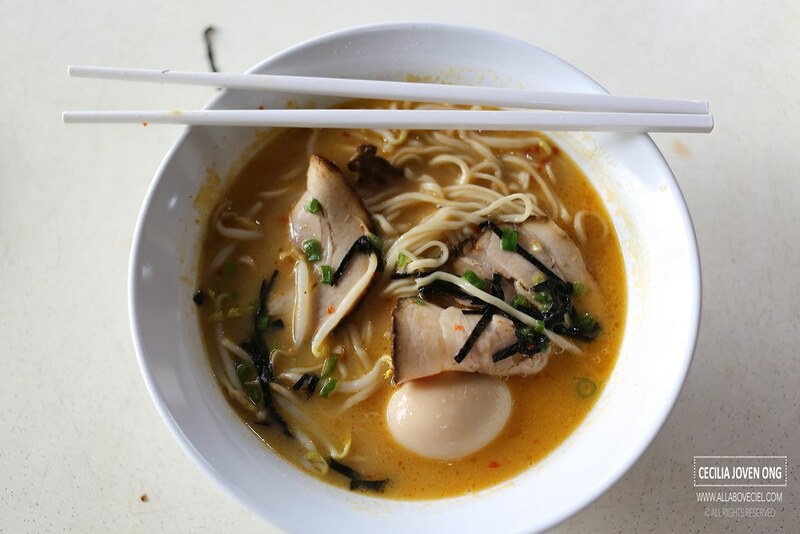 There is a new ramen stall in a coffee shop facing the MRT station in Ang Mo Kio central recently opened on 2 January 2016. The Owners, Ai Takagi and Yang Kaiheng, her husband, are the founders of the now-defunct socio-political website known as The Real Singapore (TRS) that shut down by the Singapore government as they deemed the TRS site for 'causing ill-will'. 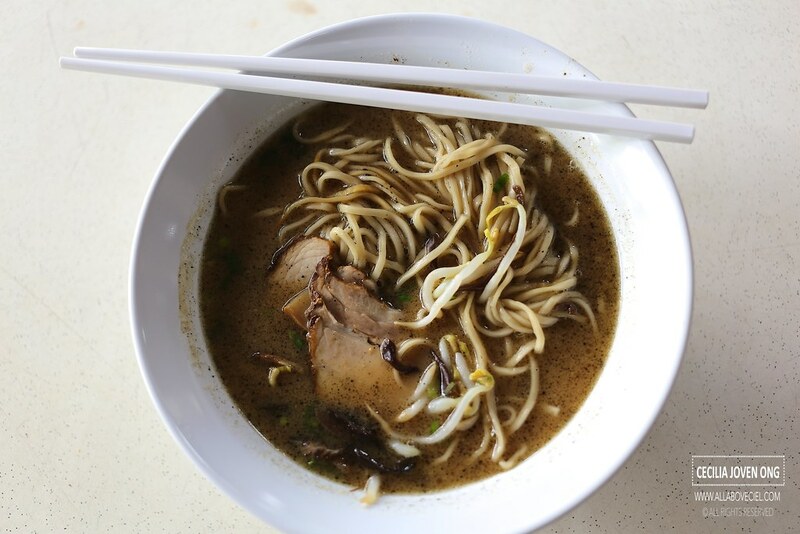 Ai Takagi decided to forgo her studies in law and went ahead to start the hawker business with husband that is serving authentic and affordable Japanese Ramen in food court and coffee shop. They started the first outlet in NUS Prince George's Park near the Kent Ridge MRT and the second outlet at NUS Lee Kuan Yew School of Public Policy which is near Botanical MRT but has already shut down then followed by this newest outlet in Ang Mo Kio. 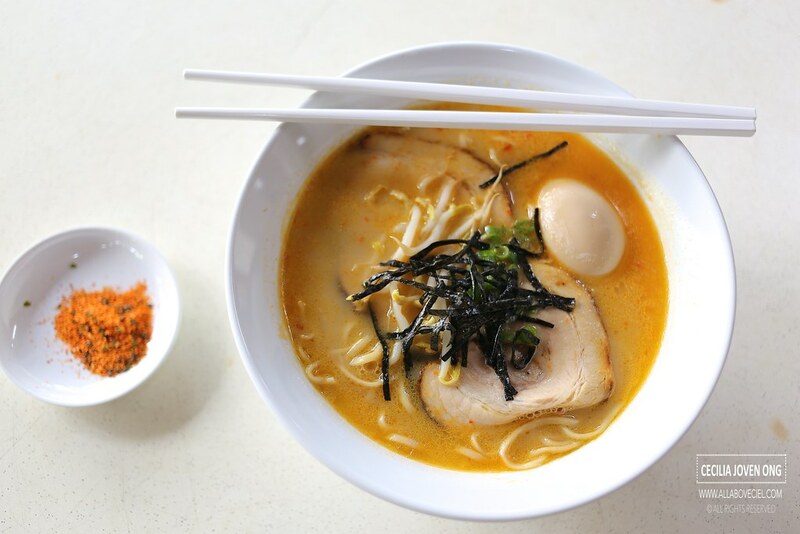 As indicated on their Facebook page, their ramen is served in a Tonkotsu based soup which is made from quality Australian pork bones that are boiled for 12 hours to extract all the essence and goodness. They then let the flavors infuse and condense for another 12 hours to give a collagen rich and smooth broth. 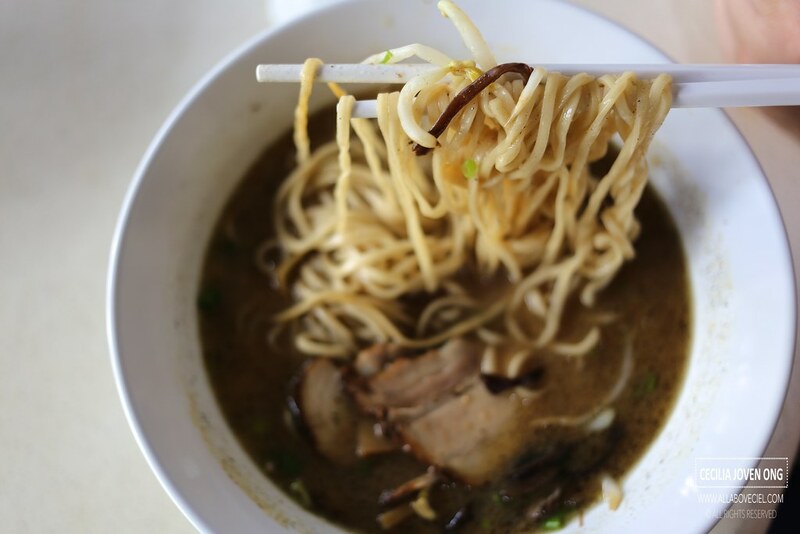 It is then carefully filtered for a clean taste of authentic Tonkotsu soup without a strong pork or oily aftertaste. There is a current promotion of 1-for-1 different choices of ramen starting from 2 January 2016 to 9 January 2016. I went with a friend and we tried Karaka-Men for $6.00 and Black Tonkotsu for $6.50. The Karaka-Men is the spicy Tonkotsu Noodle Soup that served with strips of seaweed and beansprouts, i added Ajitama for $1.00 to go with it. Though the broth has got a distinctive spicy taste but its spiciness was actually quite mild with a rather light flavor and not as salty as most ramen out there, which is good. The texture of the noodle was a bit too soft to my liking. The 2 pieces of Charsu tasted quite good though with a literally melt-in-the-mouth texture. 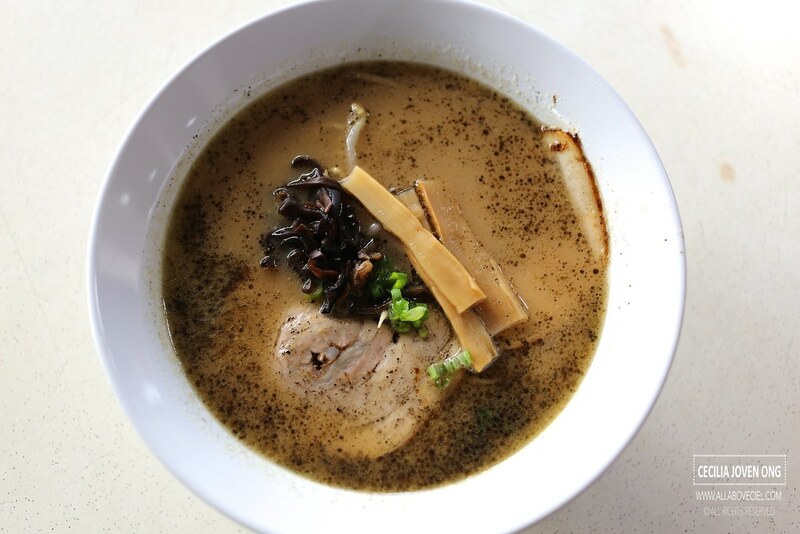 The Black Tonkotsu is Tonkotsu Noodle Soup served with charred garlic oil, bamboo shoot strips and black fungus. The flavor of the broth was equally light and i could not quite taste the charred garlic in it. The texture of ramen was a bit too soft too but for just $6.50, it is quite acceptable. 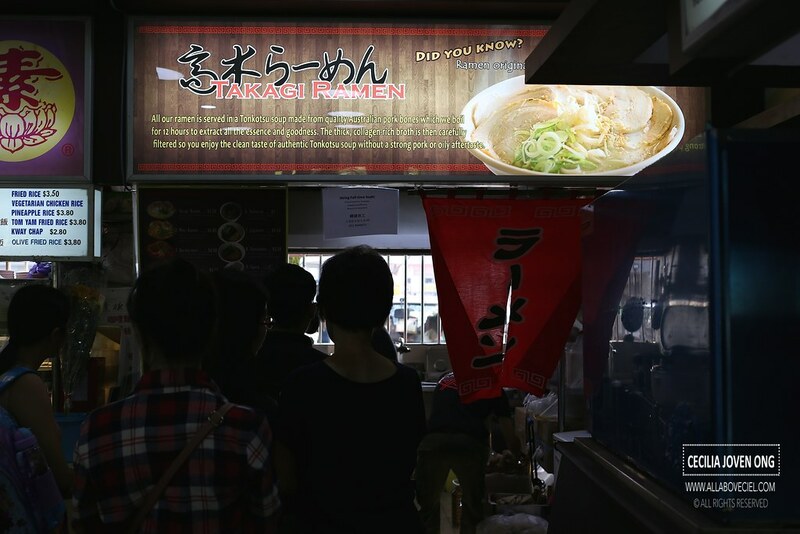 Takagi Ramen is hoping to open more outlets in different parts of Singapore to allow the average Singaporean to enjoying authentic Japanese Tonkotsu Ramen. And, they are in the midst of planning to open the next outlet in Yishun.